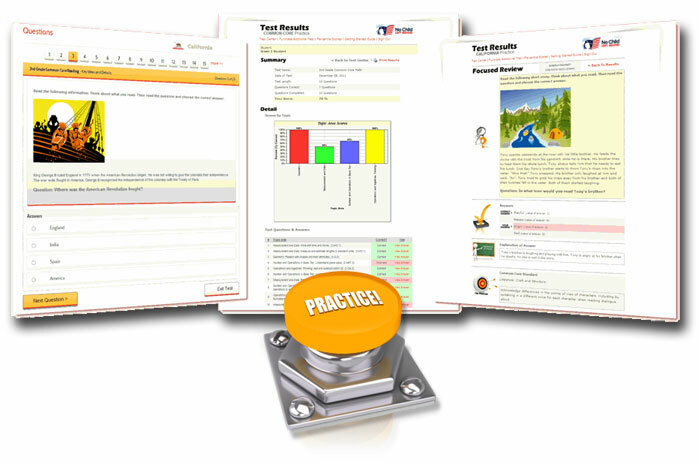 Kentucky Performance Rating for Educational Progress (K-PREP) Practice Tests - Start Practicing Now! What are the Kentucky Performance Rating for Educational Progress (K-PREP) Tests? Most schools administer the Kentucky Performance Rating for Educational Progress (K-PREP) either yearly or twice yearly in a variety of subjects such as Language Arts, Reading, and Math. The exams can be used for placement and evaluation of a student's progress. Our comprehensive practice materials help students prepare for success on these all important exams. Our practice materials helps students build confidence and raise test scores for the Kentucky Performance Rating for Educational Progress (K-PREP). The materials are both affordable and comprehensive encompassing all major subjects: English / Language Arts, Mathematics, Science and Social Science. The Bright Education System is proven effective in helping students prepare for the Kentucky Performance Rating for Educational Progress (K-PREP). Our materials are very affordable and we offer flexible pricing options to fit your budget. Volume pricing is also available for schools. When is the 2019 Kentucky K-PREP Testing Period?